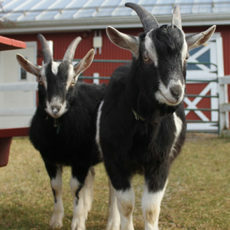 Summer Sprouts is offered only at Green Chimneys’ Brewster Campus. Full- and Half-Day Options 5 Days a Week for Maximum Fun! Our Summer Sprouts program is an ideal introduction to the day camp experience and, offers flexible schedule options for families who may not want to send their child every day. Choose full-day, morning or afternoon sessions for anywhere from 2 to 5 days a week. Lunch provided for full day and morning program only. Additional supervision and activities are available to families in need of childcare in the early morning and/or late afternoon. *Extended Care rates are for all and any part of morning/afternoon hours offered. Extended Care is also available on a weekly basis; please inquire about rates. Get Ready for the 2019 Camp Season!